Welcome back to 'Academic Insights' – part of our new 'Go The Distance' course. On these pages, we'll hear from lots of different distance learning tutors and get their top tips for successful study. This week we focus on an important area of distance learning: tutor Patrick will tell us all about speaking and listening in an academic context. Patrick Andrews is a tutor in English for Academic Purposes and Business English, so he knows a lot about the kinds of speaking and listening skills that students need for successful distance learning. We asked him for his advice on how students can upgrade their academic talk. To help you understand the tips in Patrick's video, look at the definitions of key words in the Session Vocabulary box. Trouble with academic talk? Patrick Andrews answers your questions in 3 minutes. My name's Patrick Andrews. I'm a distance tutor. I work in English for academic purposes and English for business English. 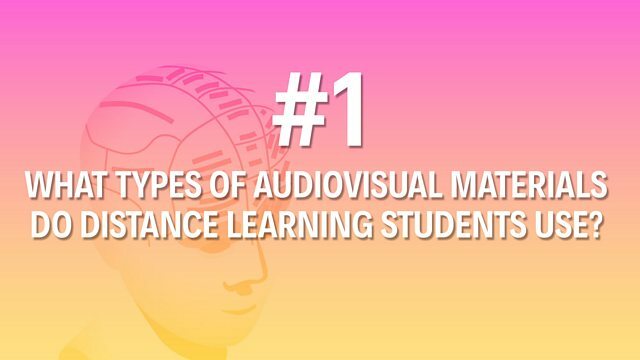 There are two kinds of audio-visual material that students may encounter. One is video material that is part of the course. The second kind is an online tutorial where students talk to their tutors and fellow students. Students may want to watch video for various purposes. One is to learn language that is specific to their subject and to extract information about their subject. A second reason is that they may want to watch videos for a good example that they can follow when they are talking themselves. A student should think about why they are watching. Are they watching to get particular information that may be helpful for them in writing they're going to do or particular information that will be helpful for them in giving a presentation? One strategy is to think about what they already know beforehand, because the AV will be related to what they'd studied before. A second possibility is to divide the video into shorter extracts, so watch a little bit at a time. Watch out for those words that are said more slowly and louder. A third possibility is to look at a transcript. The notes can be very useful for you in your later studies, either for writing an essay or for doing an exam or for giving a presentation. A second reason is that it helps you to focus on the main points. A third reason is that you can compare your notes with the notes that other people have taken so you can have some sort of discussion about - about what you've heard. Students need to prepare two kinds of language for an online tutorial. One of these is the specific language related to the topic that's going to be covered. The second is the kind of language that is involved in communicating effectively within the tutorial, so the words like "This must be because…" "I think it's this because…" "'Is this possible?" "Why do you think that?" "What about doing this?" Let's recap the #6 things we've learned about dealing with audiovisual materials in distance learning. Videos are a good source of language related to your course. They also provide a good model to follow when you have to speak in academic contexts. Think carefully about why you're watching a video – for example, is it to help you prepare for a writing task or to give a presentation? Watch videos in short chunks – it's much easier to understand short extracts rather than a long video. Make sure you prepare for an online tutorial – get ready with subject-specific language and other phrases to discuss your progress with your tutor. 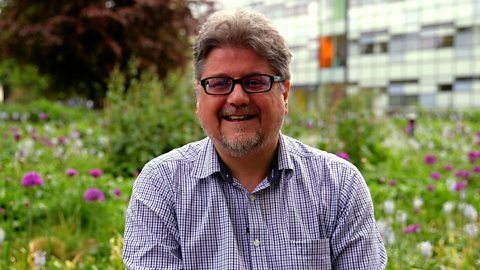 You can find out more about Patrick and get more tips about dealing with academic talk by visiting our partner The Open University – click on the link in the 'Where next?' area.